Home » Which words build trust and loyalty with customers? Which words build trust and loyalty with customers? No matter how developed your business venture may be, you’re always on the lookout for more customers and working to build trust and loyalty with them. That’s why the language you use to promote your company is so important – it can mean the difference between a new sale and a missed opportunity. 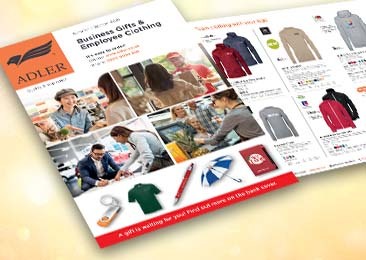 There are many words you can use to describe your business, but when you’re designing adverts and corporate gifts how do you choose the right one? We wanted to learn more about effective business language, so we spoke to the people behind some of the UK’s best start-ups to get their opinions. We gave them a list of promotional words and asked them to highlight which ones they recommend, and which they think turn customers away. Our participants are: (left to right) Barry Ryan from Tactus Group, Huib Maat from Pairfum, Robb Young from Xperience Days, Sean Mallon from Bizdaq, Tatyana Kozhevnikova fromArtefact London We’d like to thank all of our contributors for their insight and input. Gathering all of their responses means we can clearly see which words can help build trust and loyalty with your customers, and which may be turning them away. ‘Efficient’, ‘innovative’, and ‘unique’ were the highest praised words, making them effective for promoting your brand. ‘Strategic’, ‘well-rounded’, and ‘visionary’ should be avoided and may turn people away from your company. What five words do you believe are effective for promoting a business? Being ‘creative’ is important for a lot of businesses trying to promote themselves. I mean who wants to work with a business that doesn’t have original ideas? Many people can come up with what they deem to be a new and ‘innovative’ idea, but being able to introduce new and original ideas and execute them convincingly is what will ultimately ‘wow’ your clients and win you new business. Using a word like ‘revolutionary’ makes your customers sit up and take notice. Now you have got their attention – it’s up to you to deliver on the promise. ‘Successful’ – who doesn’t love success? People want to be associated with success, so even if you don’t feel like you are success yet, tell the world you are and you will be! Building relationships with clients and undertaking projects is never an easy task and will always present challenges. However, promoting the fact that you are a ‘versatile’ business demonstrates that you are agile enough to ride the waves and overcome any challenge that comes your way! These are words that our customers have mentioned to us about our company. Because they are verifiable, rather than wholly subjective. The only reason people are using a business is to get something done – whether it’s buying a vacuum to hoover their house or employing a copywriter to craft some words. In any case, effectiveness is one of the main reasons people will choose one product (or business) over another. Nobody likes wasting time or money, and being ‘efficient’ is one way to make sure that nothing’s wasted. Particularly for stagnant industries where little change happens, a ‘game-changing’ company can be a breath of fresh air and provide customers with a welcome change. You want to know that you can depend on a business you’re going to work with, and reliability is also very important in business. And for any customer, handing over their hard-earned money can be tough. That’s why being ‘trustworthy’ is so important. I actually don’t like any of the words in the table as they are so overused, but I chose my five as they sound a bit less like cheesy self-promotion than others. Which word do you believe is the most effective? BR: Innovative – the technology industry moves so fast that if you fail to be innovative and iterate quickly then you can easily get left behind. So, having the drive to discover the next big technology is crucial to being successful – and this can transcend to any business in any sector. HM: Unique – our customers regularly compliment us how on wonderful our fragrances are and that visitors to their home compliment them on the beautiful perfume in their rooms. RY: Recommended – this moves another step along the verification chain and not only suggests that what you do works, it says that others verify it as well. 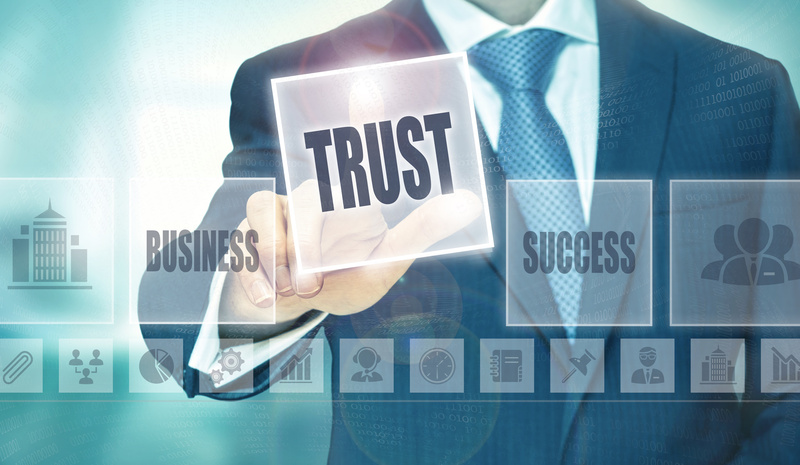 SM: Trustworthy – above anything else, the one quality you’d want from a business you’re working with is for them to be trustworthy. TK: Efficient – this means less cost within the business, better price, faster delivery for the customer. What five words do you think are not effective for promotion and should be avoided by companies? SMEs need to focus on success rather than finer details, especially in the early days. ‘Hands-on’, to me, means that you are providing a close relationship with your clients. When you are an SME, every client should be precious, every project should mean the world and ‘hands-on’ should be how you win clients respect and new business. This should happen naturally as you aim to deliver a world-class customer experience. ‘Motivated’ should be a given, otherwise you and your team wouldn’t come to work every day, and ‘precise’ makes your company sound boring! People want to be inspired and gravitate towards high energy and vibrancy. This makes you sound like you are in a darkened room, looking at spreadsheets all day. And if you have to tell people you are ‘trustworthy’, then you shouldn’t be trusted! They sound like business-to-business words and are not terms retail customers ever use. We would use very few of the words mentioned above as hardly any of them communicate feelings or benefits. They are too rational. Exactly the opposite reason as my positive words. They are very hard to verify and quantify. Who decides you’ve changed the game? What game? These are soft words that rarely translate to measurable results – they sound like ‘consultantese’. If you’re employing a company to do a job, you want them to know how to do the job and do it well – you don’t want a company that needs to adapt part-way through. ‘Impressive’ is a tricky one. Your work might be impressive, but who’s saying that? If you’re saying it about your own company, it won’t mean nearly as much as if someone else is. Every company considers themselves “market-leading” or “one of the leading companies in the industry”. It’s lost its edge, and ‘leading’ won’t help you to stand out from the crowd. And if you’re running a company or providing a service, you should be qualified. You shouldn’t have to say you’re qualified as a reason a customer should use your company. ‘Well-rounded’ – you want a business that does one thing and does it well, rather than one that is a jack of all trades. I just think that anyone can describe themselves with those words and they don’t add value to the customer in understanding what the service/product is really like. Which word do you believe is the least effective? BR: Trustworthy – this really should be a given in business. If you have to tell people you can be trusted then alarm bells should be ringing immediately! Plus, I feel that trust is something that is earned over time. The quality of your products and services will earn you success over time and ‘trust’ will be a by-product of this. HM: Visionary – the word offers no benefit at all to a consumer. RY: Strategic – because it means a million things to a million different people. You can’t measure strategy. SM: Well-rounded – businesses exist for a purpose and that purpose is to provide goods or services. By describing your business as “well-rounded”, you’re not telling anyone about the goods or services you’re providing, and nothing about how you provide them. TK: Strategic – just plain nonsense. Every company feeds this to its employees and customers on a daily basis. ‘Thinking outside the box’, ‘strategically’, blah blah blah – so tired of hearing it!